Madeleine Thornton-Smith is a painter and ceramicist who has obtained various qualifications in visual art, including a Bachelor of Arts and Visual Arts (2013), Honours of Fine Art (Painting) from Monash University (2014), and Diploma of Ceramics at Holmeglen (2017). 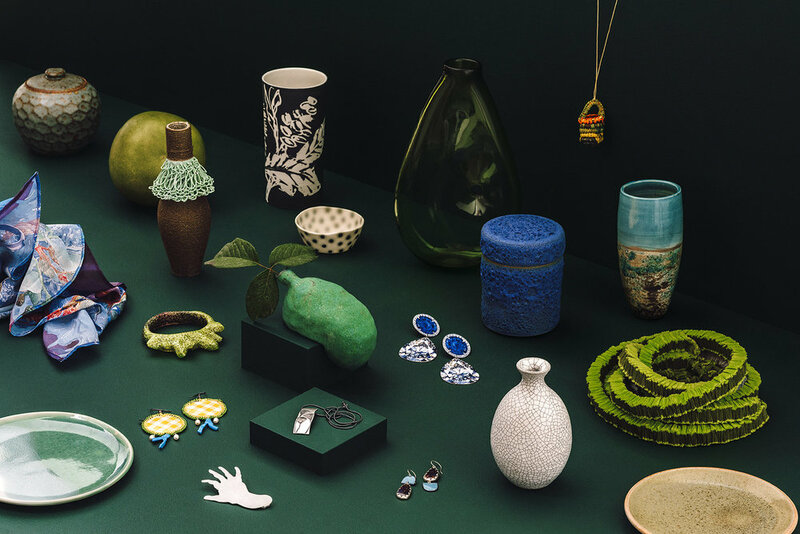 In 2017 she began studying Honours in Object-Based Practice (Ceramics) at RMIT. Madeleine enjoys dissolving the boundaries of different mediums through layering, collage and remediation. She is interested in stacking and layering her ceramic objects, creating playful “thrones”, “stands” and “pedestals” for her vessels, playing homage to the histories of sculpture and ceramics. Rosalind Krauss’ "Sculpture in the Expanded Field" (1979) provided inspiration on how the breakdown of medium specificity in the visual arts created new opportunities for artists, particularly those with an interdisciplinary practice. Remediating objects traditionally allied with specific mediums such as plinths, canvases and vessels raises questions about the content of certain materials. Madeleine is interested in the idea of collage – both literally and metaphorically; the collaging together of different mediums and forms of artistic practice.